The Seoul government’s midterm briefing on its renegotiation of a free trade deal Monday was met with mixed reactions here, with steelmakers heaving a sigh of relief while carmakers expressing concerns of losing its presence further to imported cars from US. The Trade Ministry said that South Korea agreed to open its auto market to the US in return for exempting the country from the US’ steel tariffs. Though excluded from the list of countries to be faced with the tariffs, South Korean steelmakers were hit with an annual import quota of 286 million tons, or 70 percent of the average of steel exports to the US. Steelmakers, including Posco have said they would comply with the quota. 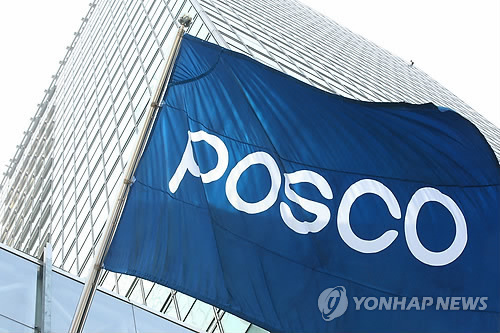 “Posco will talk to other players in the market to comply with the quota. .... Additional contracts will be decided within the numbers allocated by the quota,” the steelmaker said in a statement. Carmakers, meanwhile, expressed concerns that Seoul agreeing to further open its auto market will weaken overseas shipment of vehicles manufactured here and expand the presence of foreign vehicles locally. Under the agreement, Korean pickup trucks shipped to US will be subject to a tariff of 25 percent to 2041. Seoul also accepted Washington’s demand to double the number of US cars entering the local market without having to comply with auto regulations here if they already satisfy US rules. The deal will hit the Korean auto industry, in a mid- and long-term perspective, as it would push not only South Korean carmakers but other foreign brands to increase production of pickup trucks on US soil, not necessarily in Korea. Hyundai Motor, for instance, has been pushing ahead with the launch of its pickup truck, namely the Santa Cruz, to target the US market where the popularity of pickup trucks has been growing at a rate of about 15 percent at the moment. The carmaker was considering manufacturing its first pickup here, but it might have to revise the plan to avoid the 25 percent tariff on pickup trucks shipped to the US. Manufacturing cars from the home ground provides greater choices for Hyundai, as they can be shipped to various destinations. But producing pickups in the US only means that the South Korean carmaker will have to sell it to the US market only, an industry insider said. The deal could also delay Hyundai’s decision to start manufacturing the pickups until it is assured of market demand at a minimum level, he added. Not only US brands, but also other foreign carmakers that manufacture vehicles in the US could take advantage of the deal, as it lifts more regulatory hurdles than those entering the Korean market from elsewhere. SsangYong Motors, meanwhile, said though it is considering entering the US market, it has not decided whether to launch pickups first or an SUV.